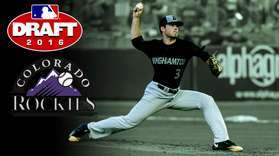 Obey "Legion Code of Sportsmanship"
Congratulations to Binghamton University recent graduate Mike Bunal for being selected in the 17th round of the 2016 Major League Baseball Draft on Saturday, June 11th by the Colorado Rockies as the 500th overall pick. This past season, Mike was named as the American East Conference Pitcher-of-the-Year, with a record of 6-0 and a 2.39 ERA in conference play and led the Binghamton Bearcats to the NCAA Tournament. Along the way, Mike was also named to the All-Championship team as the Bearcats captured the American East Conference Tournament title. This past season, Mike broke the Binghamton University single-season strikeout record with 87 strikeouts in 89.1 innings and also tied the Bearcats single-season record for wins in a season with eight. He led the American East Conference in wins, innings pitched, complete games, and opponents batting average (.214). His five complete games ranked eighth in the entire nation for Division I teams. Mike finished his Binghamton career with 13 wins, two saves and 157 strikouts in 163 innings. He transitioned from a freshman outfielder to a sophmore closer in the bullpen before spending his final two seasons as a weekend starter. 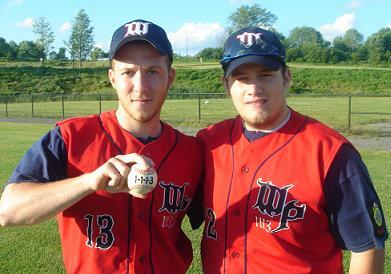 Mike played for Whitestown Post for four summers from 2009 to 2012 and helped Post 1113 capture the 2011 New York State American Legion Championship. GREAT JOB MIKE... BEST OF LUCK!!! 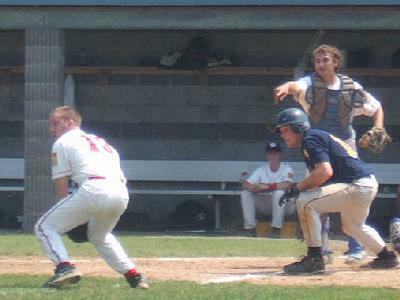 On Sunday morning June 18th, 2006 at the SUNY Institute of Technology in an American Legion baseball game between Whitestown Post 1113 and Rayson-Miller Post 899 of Rochester during the Annual Utica Post 229 Father's Day Classic, an extremely unusual triple play was executed by Whitestown Post 1113 in the middle of the game. Whitestown relief pitcher Dennis Spellman entered the game in the top of the 4th inning with Post 1113 clinging to a 2-1 lead. Spellman quickly gave up back-to-back singles to put runners on the corners with no outs, unexpectedly setting the table for some heroics on the first pitch to the following batter. 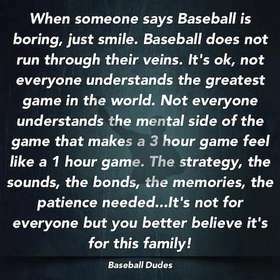 With both runners breaking on the pitch in an attempted suicide squeeze play, Rayson-Miller left fielder Mike Harvey bunted the ball in the air about ten feet in front of home plate on the third base side. Spellman instinctively took five steps towards the ball and dove for it, incredibly catching it three inches off the ground in the webbing of his glove. Quickly jumping to his feet, Spellman tried to assess the situation and was quickly alerted by Whitestown catcher Dave Ferrone to turn around and tag out the base runner who was attempting to score from third base and was already at the plate. After the easy tag for the second out, Spellman then alertly turned and threw the ball to Whitestown first baseman Ryan McQueen, who touched the bag and forced out the other Rayson-Miller base runner before he could return to first base, thus completing the improbable triple play! But wait... the quirkiness of the play doesn't end there! If you stop and think a second about the scoring of the play, you'll realize that it exactly matches Whitestown Post's identification number... 1-1-1-3!!! In a game chocked full of numbers, this is quite simply and purely at the leading edge of the incredible. Another instance of the old baseball term, "just when you think you've seen it all!"